Frankfurt has a thriving economy, thanks to its international stock market. But aside from being Germanys financial hub, Frankfurt is a picturesque city with lots of interesting places to explore. 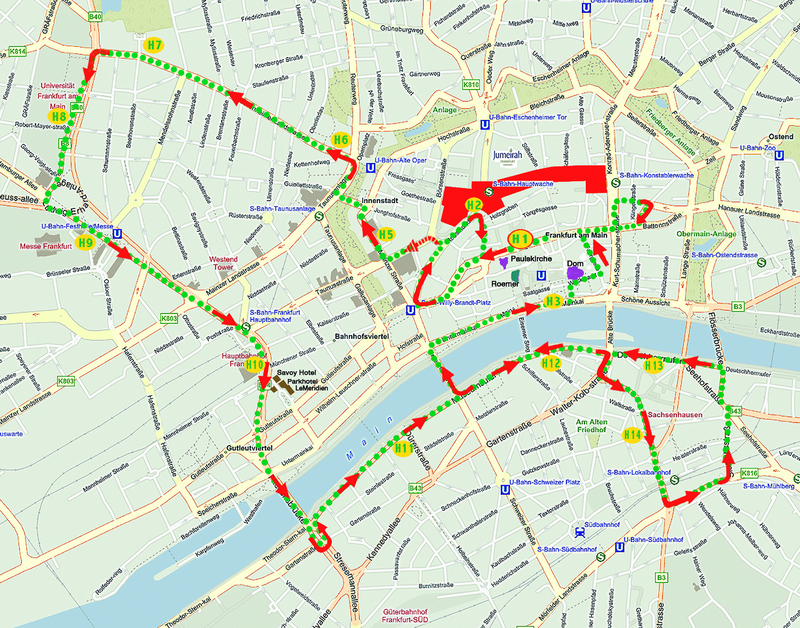 Although Frankfurt is relatively easy to navigate, having a Frankfurt tour map is a great way to get a feel of the city. The map will serve as your guide to the citys most famous attractions and pretty much anywhere in the city. 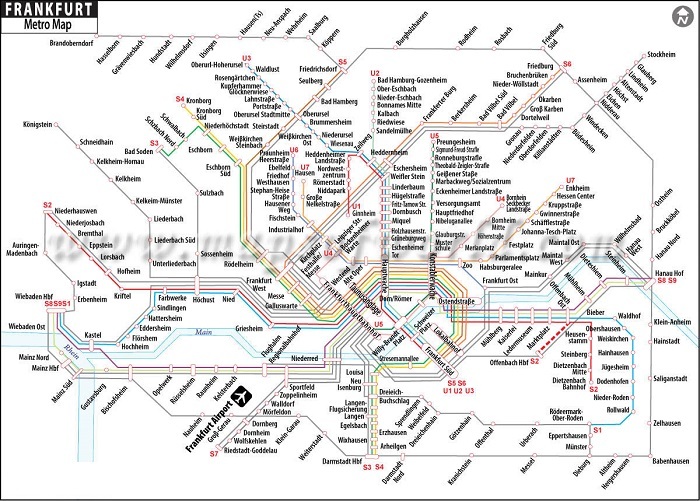 Tripindicator offers different types of Frankfurt sightseeing maps, ideal for all kinds of travellers. For instance, if youre one of those travelers who would often rely on technology in navigating the city, the Frankfurt interactive map will suit you best. But if you are more comfortable in exploring the city with a map in your hand, then check out the printable map of Frankfurt. As Germanys financial district, Frankfurt has its own metro system that allows people to conveniently travel from one place to another. 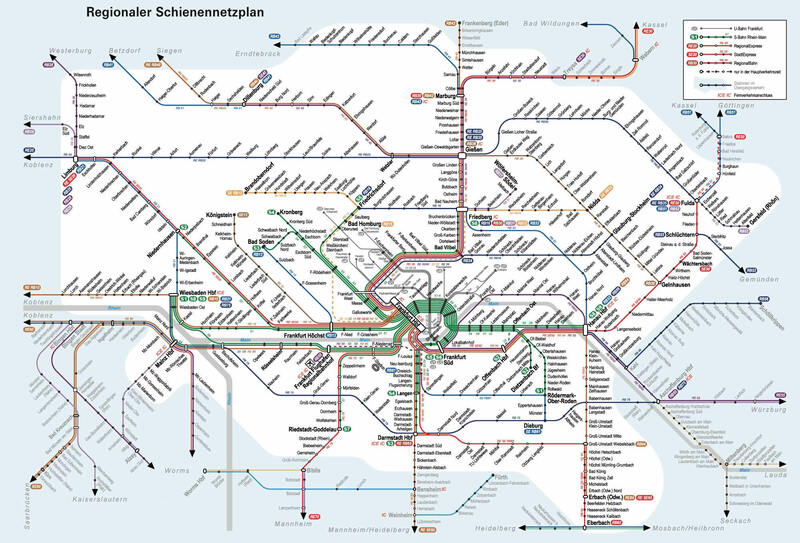 The Frankfurt U-Bahn will take you to anywhere within the downtown area, including the famous sites in the city. 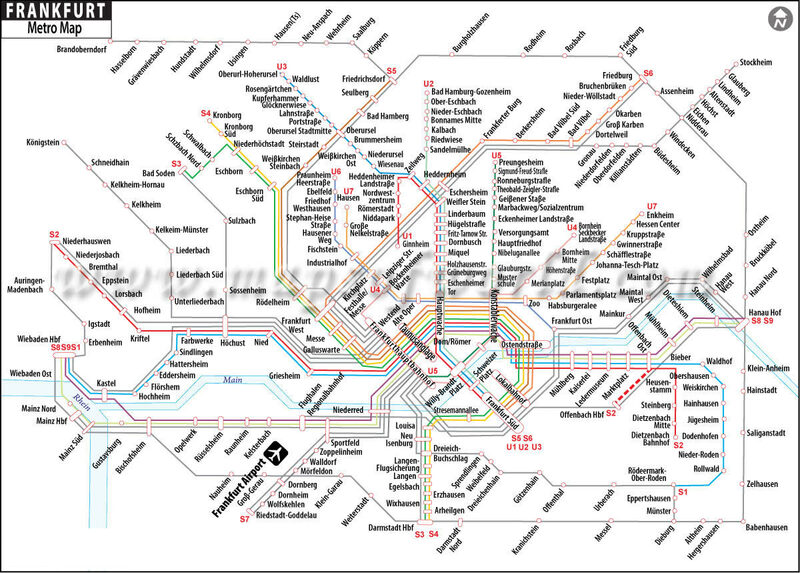 You can refer to the Frankfurt metro map with attractions to find out which places the train would take you to. Its also possible to explore Frankfurts attractions by walking. 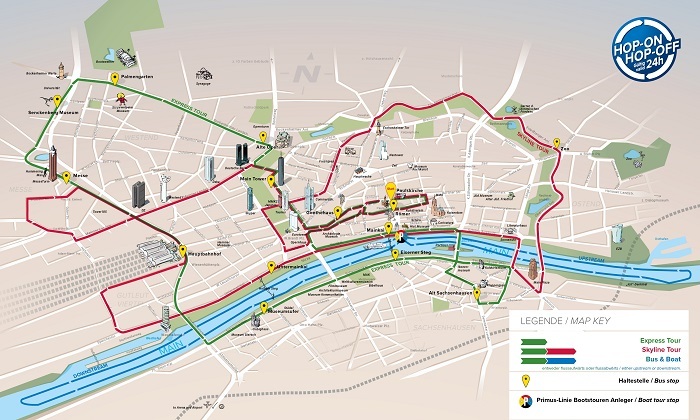 If you prefer to walk, make sure you have a copy of the Frankfurt tourist map walking. 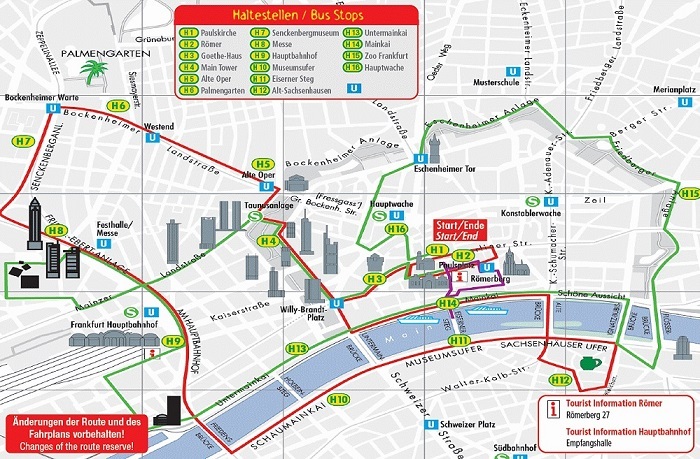 For tourists taking the hop on hop off bus, check out our Frankfurt hop on hop off bus map to find out which places the bus will stop. 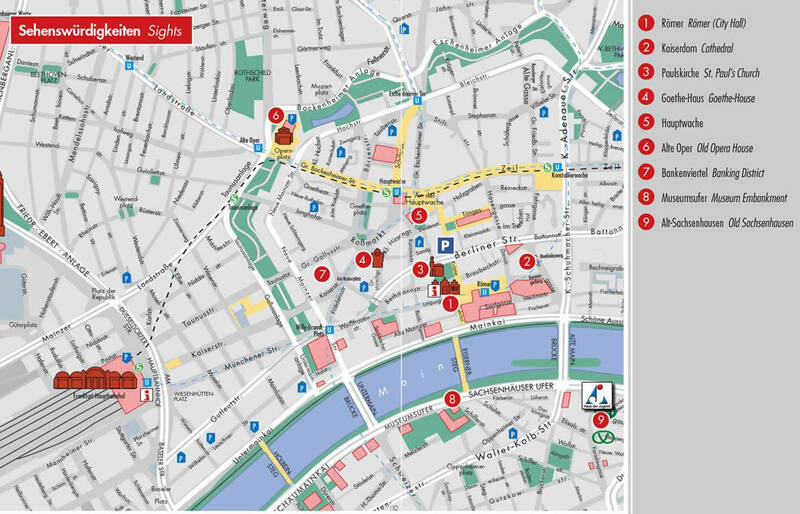 Regardless of the method in which you choose to explore the city, a tourist information Frankfurt map will surely come in handy. This map lists down the famous attractions in the city, such as the Römer, an iconic town hall housed in a medieval building. Other interesting places that are worth checking out are the shopping streets of Zeil, the Römerberg town square, and the Palmengarten, a beautiful botanical garden. Our aim is to help tourists visiting Frankfurt to find their way in the city easily. This is why we have provided various maps that tourists can use for free, such as the printable tourist map Frankfurt and the Frankfurt tourist map pdf format.